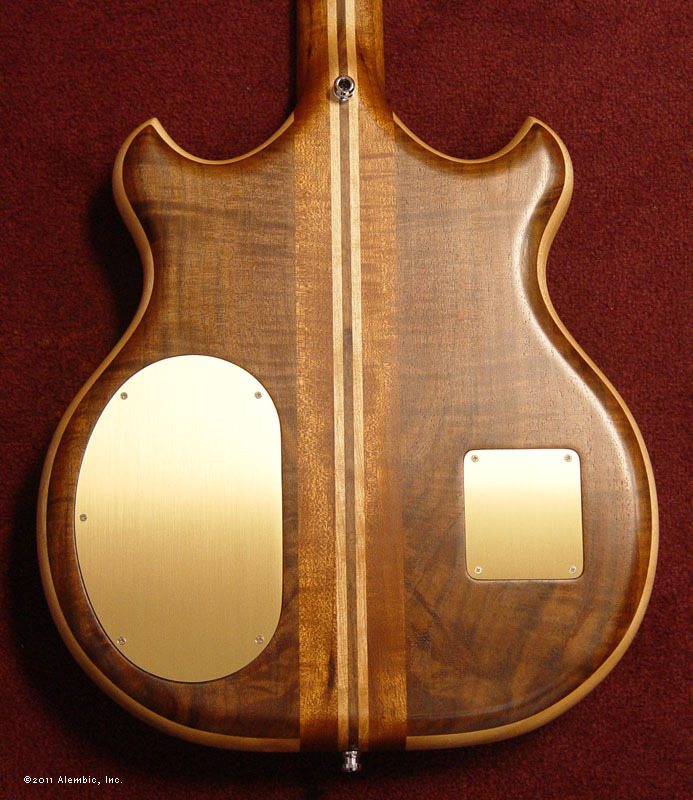 Bass Central always carries a variety of short scale Alembic basses, including several Brown Basses. Each one has a different set of features, so you can select from LED colors and other options that suit you best. 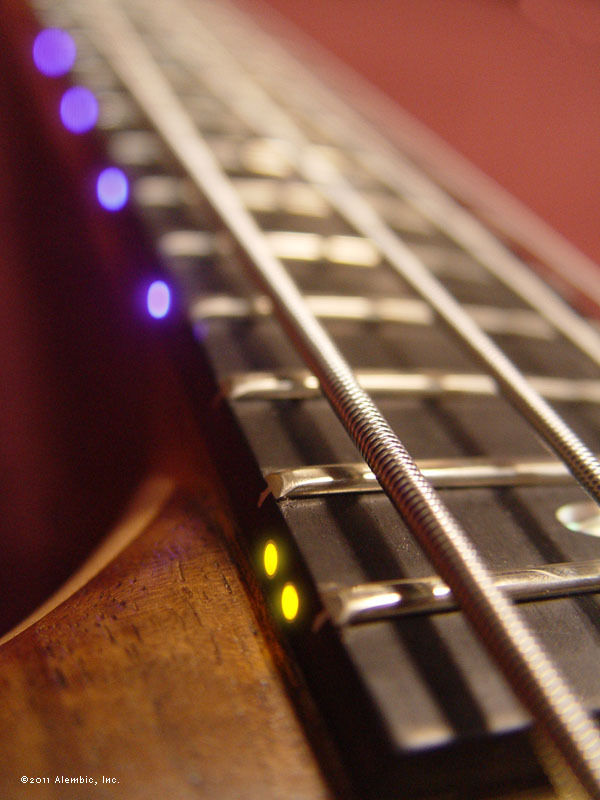 Take this bass for example, it's the only Brown Bass with violet and amber side LEDs, and it's available for immediate shipment from Beaver and his crew. 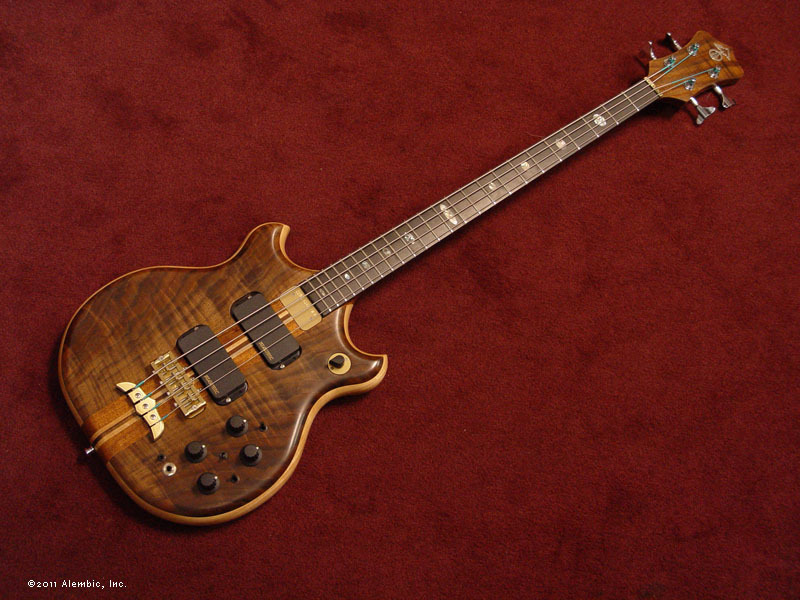 Brown Basses are modeled after Stanley Clarke's Alembic bass from the early 1970's. They differ is several important ways than the more recent instruments we crafted for him. The body shape is slightly different, with a flatter bottom and more sharply curved horns. It's also just a touch thicker by a tenth of an inch. It's also the only model that comes standard in an oil finish for a beautiful subtle glow. All the little details really add up. 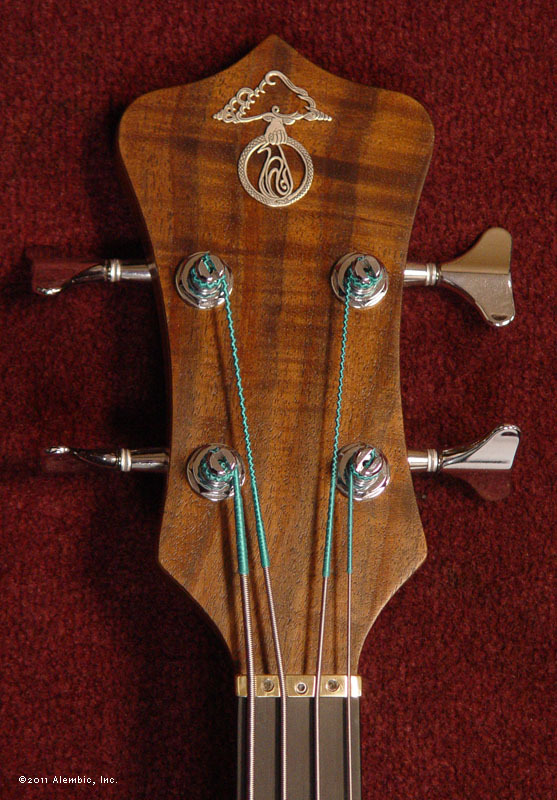 The neck dimensions are a tad smaller than on earlier Stanley Clarke models, the nut width is 1.5 inches with a fingerboard that grows to 2.15 inches at the 24th fret. Combined with the short scale, it's a breeze to play. Then there's the tone. 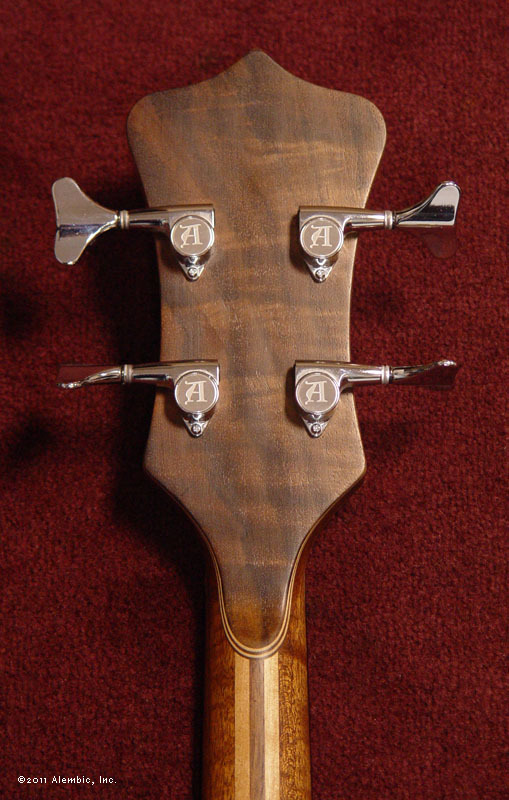 Brown Basses have a rounder sound than you might expect from Alembic, thanks to their Mahogany necks. We add laminates of Birch and Walnut to the neck to give the attack a little edge. It's versatile, and brutal. This bass will reveal your current skill level, which will no doubt improve quickly as you can hear any and every inconsistency, but that's good news! You'll sound better than ever.